Once you have found your apartment near your school and / or your work, it is good to know the key players in the maintenance of your building (who is in charge of the keys, the electricity, the maintenance, etc.). CREF will explain the words and phrases you will need that will put you at ease in your new environment. Many expatriates are housed in large housing complexes that were formerly called “dipcorpus” – дипкорпус (dipkorpus), because in Soviet times, that was where embassy employees lived. These buildings are managed by real estate companies which are involved in all domestic matters. However, others have chosen the so-called private sector – частный сектор (chastnyy sektor) and rent from a landlord – арендодатель (arendodatel’). The landlord will ideally have set up a small self-employed business -индивидуальное предприятие (individual’noye predpriyatiye),or IP, and can offer a formal lease agreement – официальный арендный договор (ofitsial‘nyy arendny dogovor), which allows for a reasonable tax rate for such arrangements in Russia. Nevertheless, it may be that you have to pay for your own electricity, gas, and other expenses grouped under the term of communal housing services – жилищно-коммунальные услуги (zhilishchno-kommunal‘nyye uslugi). Fortunately, payments – платежи (platezhy) can be made through the city of Moscow’s website (pgu.mos.ru), through your Russian bank’s website, even through the Russian Google, “Yandex”. 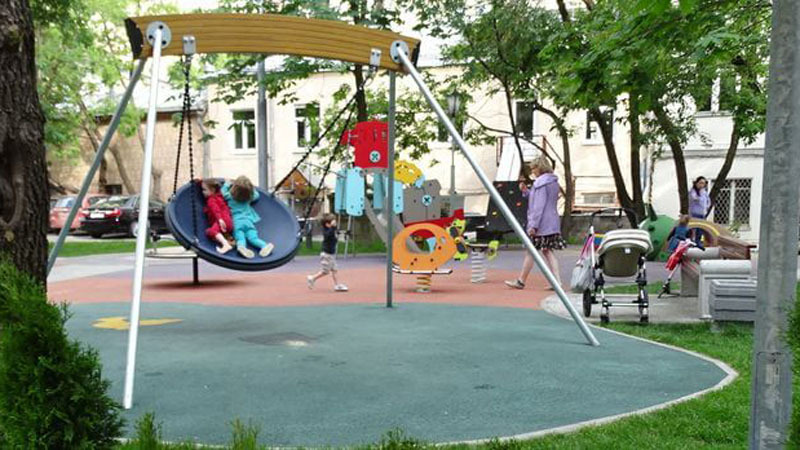 If your lease is for more than one year, with the help of your landlord, you can even get permission for resident parking – резидентное парковочное разрешение (rezidentnoye parkovochnoye razresheniye), which, for 3000 rubles, allows resident parking twenty-four/seven all year-round without having to pay extra when payment for parking is required in your neighborhood. Some buildings have a “caretaker” or “janitor” – вахтер (vakhtior) who monitors the entry and exit of visitors, and takes the names of these visitors – гости (gosti) for safety – безопасность (bezopasnost’), and probably as much from curiosity – любопытство (lyubopytstvo ). Also, do not forget to ask your landlord to introduce you to the dean – старший по дому (starshy po domu), the person, often a woman, who is in charge of the relations between the building’s maintenance company and the people working in your building’s entrance – подъезд (pod’yezd). Indeed, all the technical aspects of your building are managed by a department called the “Housing Services Department” – жилищно-эксплуатационное управление (zhilishchno-ekspluatatsionnoye upravleniye), often referred to by its old initials, pronounced “Zhek” or “Zhekekha”. It is rare that you will deal directly with them. However, if the intercom code – домофон (domofon) or the magnetic key – магнитный ключ (magnitnyy klyuch) change, you will get a new key and / or the new code – код (kod) from the “dean”. If the hot water is shut off – горячая вода отключена (goryachaya voda otklyuchena) inadvertently, you can check with her and she will usually tell you the cause if it does not come from your plumbing, and how long it will be turned off. With any luck, your landlord – хозяин (khozyain) has installed a water heater – бойлер (boyler) booster. The “dean” is also very attentive to, but not responsible for, maintaining order – порядок (poryadok) and cleanliness – чистота (chistata) in the building. However, the cleanliness of the landing – площадка (ploshchadka) is everyone’s business in practice, although it is a matter for the maintenance company in theory. The cleanliness of the courtyard – внутренний дворик (vnutrenniy dvorik), particularly in winter, is the responsibility of the дворник – “dvornik” employed by the maintenance company, who courageously goes out every morning at early dawn to clear the overnight snowfall.